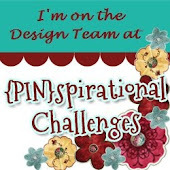 If you think this card has a bit of a messy look, you should see my craft room! Honestly, no matter how long I spend cleaning it up, it only needs me to make one card before it looks as if a bomb has hit it. Here I used a boy with kite stamp by Papermania, Magicals powders, Distress spray ink, markers and stamps by Claudine Hellmuth, Paper Artsy and Clearly Besotted (the sentiment). Fantastic stamp to use on this terrific card. I always say I will clear up after making stuff but never quite manage it and have about a square foot of space to craft. A super background for that lovely stamp Marina, makes for a perfect card for the lads. 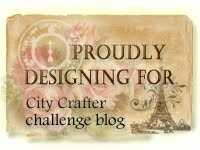 Many thanks for sharing your lovely card with us at Fashionable Stamping Challenges. I absolutely love this Marina, such a warm color palette and I love all the distressed details in the bg. Super card! Great work and simply perfect for our 4 Elements Challenge! Thanks for playing along at Shopping Our Stash! 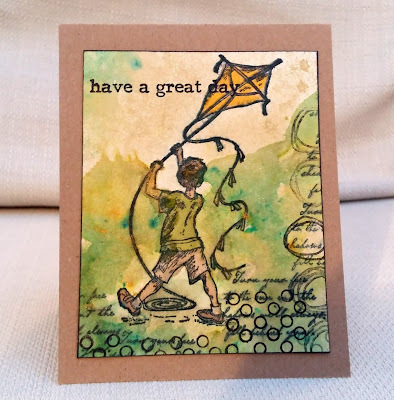 Fabulous job on the background, love the stamp and you put them both together fabulously Thanks for playing along with us at Shopping Our Stash for the 4 Elements challenge.